When a person is looking for a solution to a problem they often turn to a Google, Yahoo or Bing search bar. On occasion they may turn to Facebook or YouTube but for the most part the search bar holds the power to direct people to what it is that they need and the products they are looking for! This post breaks down 4 steps to help you master ppc marketing so you can instantly put your products and services in front of the people who need them the most. With millions of people searching for what it is that you have to offer daily, your ability to scale your business and profit are much greater when you master search traffic. What Is Search Traffic And Why Should I Master It? When a person searching for answers to questions, products or services on Google, Yahoo or Bing, ads display on the screen, this is called search traffic. Websites like Google, Yahoo and Bing generate revenue by allowing people like me to place ads based on what people are searching. Advertisers can bid on keywords that potential customers are bidding on to build their list and or to sell their products. In my opinion, search traffic will always be the best form of marketing for direct response marketers who want immediate results. This is why search traffic is something every business owner should master. How Can You Learn More About Search Traffic? Every week I host private workshops for my inner circle students where I go into more details and strategies on specific topics related to online marketing. 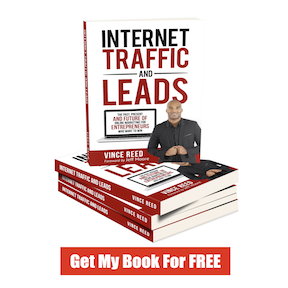 To get invited to my Search Traffic Secrets webinar that I am hosting this week click below to become an Inner Circle Member now! Instagram is a powerful marketing tool that many online marketers have turned to as anther way to get leads and attract new customers online! The problem that a lot of marketers face on Instagram is the fact that they can get followers and likes but they struggle to get leads! 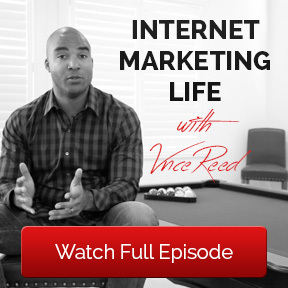 Prior to instagram website ads you could not drive traffic dirctly to URL’s or websites. A person would have to manually click on the link in your profile of your description or visite your website URL manually if you had one on the image! Thanks to Instagram website click ads you can now direct images and videos to your websites or capture pages to get leads! See the video above for more details! What Are Instagram Ads And How Do They Work? Instagram is reported to have over 500 million users and continues to grow by the thousands every second. For people who looking for something other than Facebook and want something new, Instagram is a great option for you. Instagram is loaded with photo’s which can keep the end user lost and clicking through your profile for hours. This is why leveraging Instagram website click ads is so important. See the video above for details! Are Instagram Ads Cost Effective For Marketers With Small Budgets? Instagram website click ads are very cost effective. Where it may cost me $1 for a click on Facebook, that same click is costing me .10 on Instagram. Instagram is a great option for marketers with small budgets! Since 2012 I’ve been consistantly been using YouTube to host videos and share content on (PPC) Pay Per Click marketing. Although Facebook is giving YouTube a run for its money, in my humble opinion YouTube still reigns supreme. I believe this to be true because of the pure fact that YouTube is owned by Google and there is nothing like search traffic. You see for the most part, people have to be actively looking for what you have to offer on YouTube whereas on Facebook your video interrupts the end user by appearing in their newsfeed which in my opinion is the main reason people suffer with conversions on Facebook. Watch the video above to see how you can leverage YouTube Retargeting so you can continue to advertise to every single person who views your video! What Is YouTube Retargeting and how does it work? If you have ever clicked on an advertisement online only to have that ad continue to follow you around the web forever. This is called retargeting and it’s hands down a marketing feature that every online marketer should be using. When you set up a video on YouTube you can set up a Retargeting audience which allows you to create a separate ad targeting only the people who have viewed a prior video! See the video above for a complete demo of how it works! Should you use YouTube Retargeting PPC advertising? The hardest part of advertising videos is making a video ad convert. Most people can get tons of views but sales are the thing that drives people crazy with video marketing. Not only is YouTube Retargeting going to boost your conversions its going to lower your ad cost because your clickthough rates will be much higher. Word of advise… master this method ASAP. See video above for details on YouTube Retargeting now!